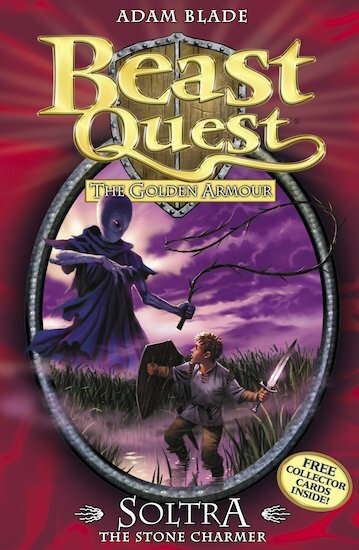 Tom’s quest to collect the golden armour leads him to his home village, which is being terrorised by Soltra the Stone Charmer. Can he defeat this fearsome beast and free the frightened villagers? Or will he join her victims and be turned to stone himself? This is medusa but she is bald and has one eye!